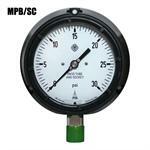 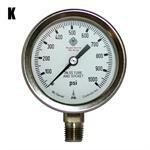 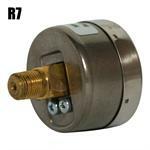 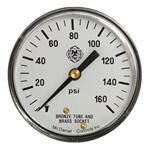 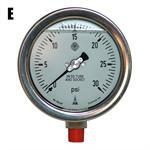 Ideal for use as positioner gauges, the models R7 and R8 are also ideal OEM gauges. The R7 features brass movement and a brass process connection available in 1/8” or ¼” MNPT, center back or lower mount options. 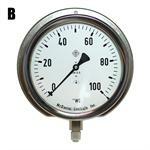 It has a solid stainless steel case for corrosion resistance. 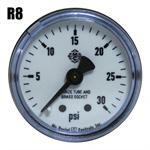 The model R8 is our least expensive utility positioned gauge. 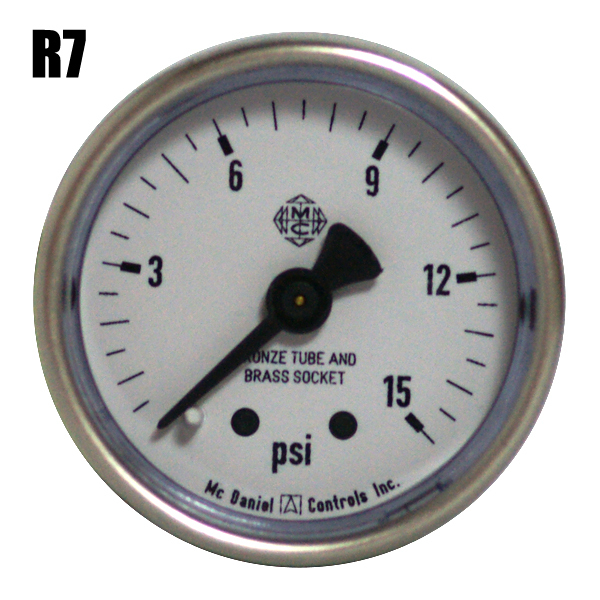 It has a black enamel case over a brass movement and brass process connection. 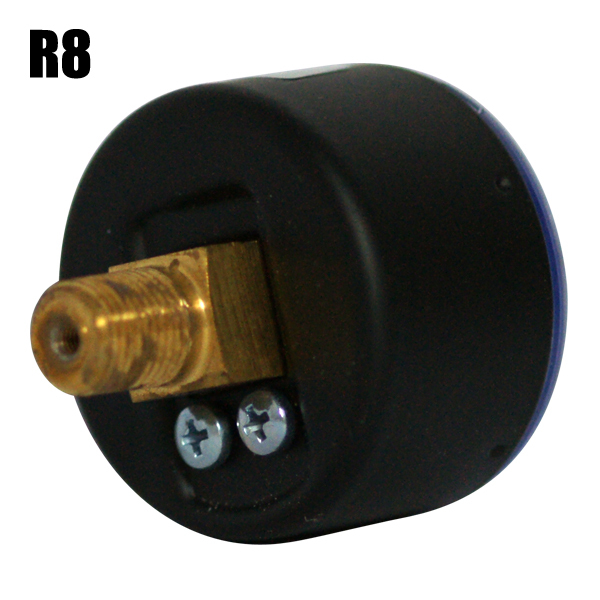 It is also available in 1/8” or ¼” MNPT with center back or lower mount options. 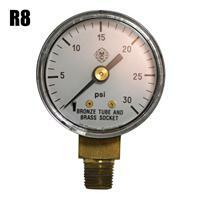 The accuracy of both the R7 and R8 is 3%-2%-3% in a 270 degree arc divided into thirds. 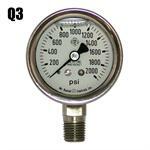 1/8" NPT is STANDARD, 1/4" NPT on Request. Copper alloy (C Form 600PSI & below).